Children's entertainer Stafford. Dozy Dave has entertained at 100's of events within the Stafford area. We offer an advanced, fast-moving show for children. Our shows include a mixture of Magic, Action Disco, Competitive Games & Balloons for prizes. Our shows will make sure children of all age groups entertained for the duration of the show. (take a look at our testimonial page and see what other people looking for a Children's entertainer Stafford have said about our shows) think) Click HERE to see the clients who have required Dozy Dave's talents. Look a little lower down this page to see our party videos. If you are searching for Children's Entertainer Stafford? Then you have come to the right place. 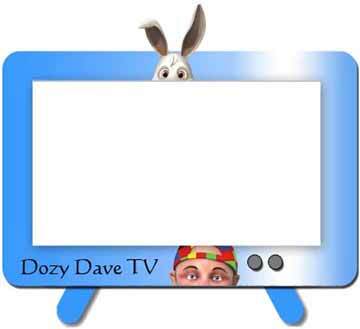 Dozy Dave is possibly the top children's entertainer Stafford, with most of his shows coming from client recommendations. His fast-paced parties have a concoction of Magic Shows, Music, Games and balloons and are the perfect choice for your little one's birthday party. A christening or wedding. Select from the 1hr - 1.5hr or full 2hr packages. Every package has plenty of interaction, presents and fun for children of all ages. Dozy Dave has been performing since 1996 as a professional children's entertainer and can offer a mixture of unique packages to meet your requirements seven days a week. Dozy Dave works in all areas of Stafford as well as Burton, Uttoxeter and Crewe. Dozy Dave has a lot of different party packages to accommodate all budgets and ages of children. Please don’t hesitate to contact Dozy Dave if you are thinking of something particular? As Dozy Dave and his colleagues will do their absolute best to make sure your next event is the most talked about event in Stafford.